Part of my recovery from knee surgery includes avoiding foods that promote inflammation. The interesting reality is that the same foods that can cause coronary inflammation are the exact same foods that cause or exacerbate any inflammation in your body. The more refined a food is, the worse it is for our body, especially inflammation and swelling. Worst on the list are white flour, white rice, white sugar and white potatoes. This can be a big wake up call if you are used to making simple side dishes for meals...those that most often include roasted or mashed potatoes, quick cooking white rice, or a loaf of French or Italian bread. Alternatives are not that hard to come by but it does require mindful planning...and learning about healthier choices. This past week I have been on a mindful journey to find healthy, non-inflammatory, side dishes for my menus. They still need to conform to the over all goals of appropriate serving sizes and calories (only two of the recipes provided don't have calories already listed, I plan on figuring out the calories on those two). To my great satisfaction I have found some appealing looking recipes I look forward to testing out on my family. 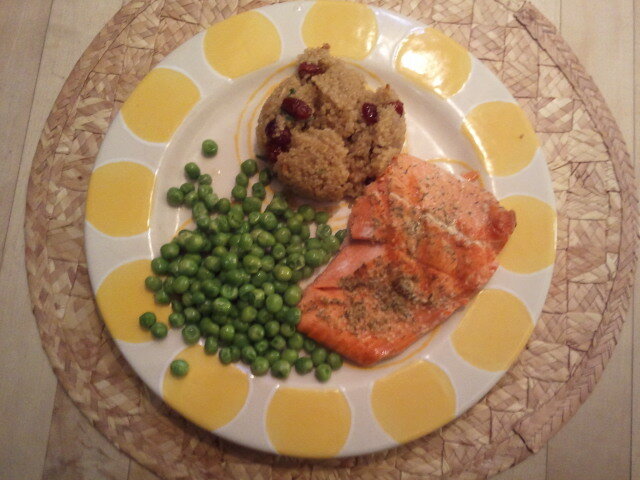 The first recipe I tried was Quinoa and Cranberry Pilaf. It was delicious! The one thing I realized is that many of the whole grain recipes are really meant as whole meals for vegetarians so the quantities are much larger than you would want for a side dish. I plan on halving those recipes going forward so I don't have so many leftovers. I picked this variety of whole grain dishes so I would have side dishes that can go with any type of menu. Now to see which ones are truly tasty.... I will keep you posted!